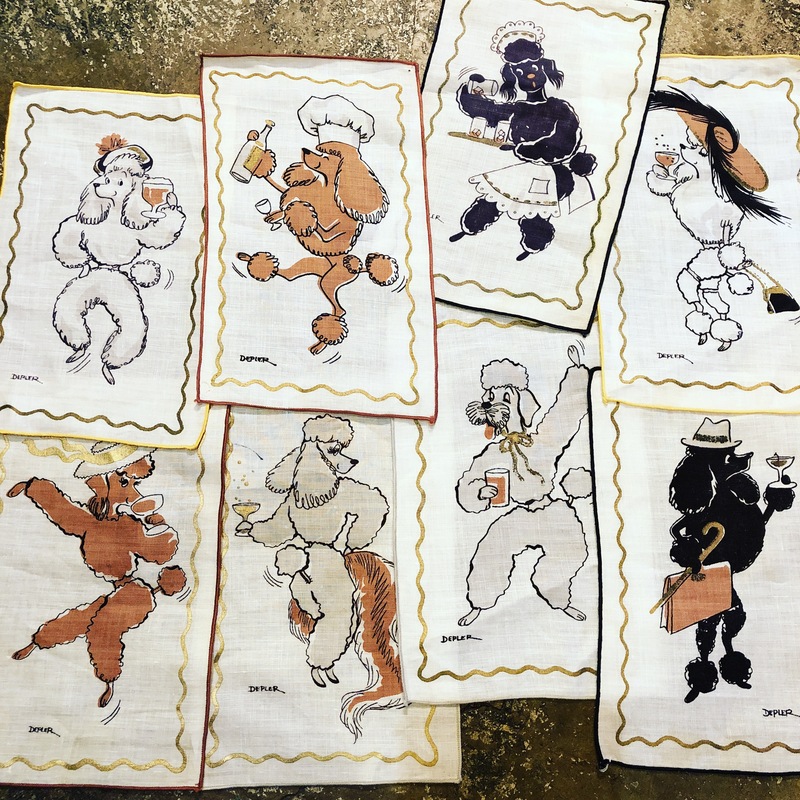 1950′s Drunk Poodles cloth cocktail napkin set. $38. This entry was posted in bar ware, kitsch, textiles and tagged Dallasantiques, dallasconsignment, dallastextiles, Dallasvintage, dollypython, dollypythonvintage by Gretchen. Bookmark the permalink.